ADHD and ADD are among the most common childhood disorders in the United States. If your child is showing signs of ADD and ADHD, make an appointment at Pediatrics of Mansoor Pediatrics. The area’s leading pediatricians, the team at Pediatrics of Mansoor Pediatrics welcome new families to the practice. If you’re in the Alexandria vicinity, call the office or book an appointment online to have your child screened. Is there a difference between ADHD and ADD? Not really. They are brain disorders that impact your child’s ability to read, socialize, learn, and perform everyday activities. The terms “ADHD” and “ADD” — attention deficit hyperactivity disorder and attention deficit disorder, respectively — are often used interchangeably. Back in the day, doctors would say that ADD referred to difficulty paying attention, whereas ADHD was the same, but with hyperactivity included. Now we use the term ADHD but classify it into three subtypes: Mostly inattentive, mostly hyperactive, or combined inattention and hyperactivity. What is the process for diagnosing children with ADHD and ADD? Diagnosing ADHD and ADD isn’t a one-size-fits-all test. It includes a series of observational and hands-on measures to get an accurate diagnosis. When you come in for screening, your pediatrician sits down with your child and monitors their behavior. Be sure to let your doctor know about your child’s behaviors at home or school. All of this information helps determine if your child has ADHD or ADD. Your doctor will also ask questions about sleep, diet, and family routines. Do children with ADHD and ADD have symptoms? How is ADHD and ADD treated in children? Are ADHD and ADD permanent? As your child grows and develops, the prefrontal cortex matures. As such, some researchers believe that the symptoms and side effects of attention deficit disorders can decrease or resolve completely. About one-third of adults who had ADHD and ADD as children, no longer have issues as adults, or their side effects are much less severe. Your teen needs routine and preventative care, just like they did during childhood. When it’s time for your adolescent to see a doctor, make an appointment at Pediatrics of Mansoor Pediatrics. Your young adult meets with the expert pediatric team at Pediatrics of Mansoor Pediatrics who specializes in working with teens (and their parents). The practice also helps with school and sports physicals, if your teen needs to have those performed. If you’re in the Alexandria area, make your child’s first visit by calling the office, or booking an appointment online. What types of preventative care does my teenager need? Your teenager continues to grow, experience puberty, and develop throughout teen years. When they have a relationship with a pediatrician, your teen has someone they can trust to help with medical questions or concerns. Beginning at age 12 or 13 we routinely set aside some time for the doctor to speak with the teenager alone at the well visits. 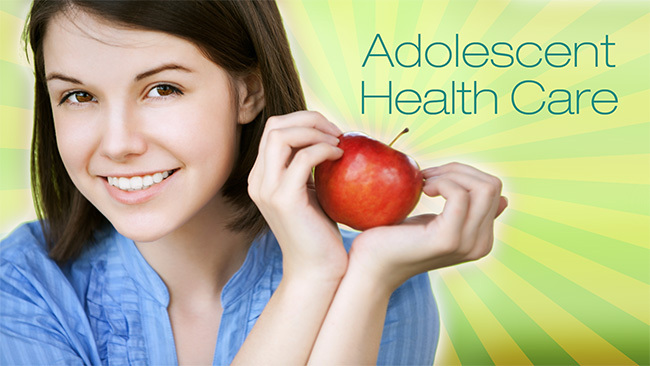 If your adolescent is healthy, plan on bringing them in for a checkup about once a year. Of course, you’re more than welcome to come in more often if needed. When does my daughter need her first pelvic exam? Your daughter’s first gynecological exam should occur between the ages of 13 and 15. This exam is a chance for your teen to talk with her pediatrician about menstruation, cramps, sexual activities, or other health concerns. This teen well visit usually includes a general physical exam and an external genital exam only. Unless your daughter has abnormal circumstances, like a sexually transmitted disease or severe menstrual cramps, she most likely won’t need an internal pelvic exam during her teen years. You, as the parent, may be present for all or part of this exam, depending on your daughter’s needs and comfort level. We recommend establishing routine care with a gynecologist and beginning pap smears and pelvic exams around age 21. Which immunizations does my teenager need? The pediatricians at Pediatrics of Mansoor Pediatrics work with your teen if they’re behind on any immunizations. As your teen gets older, they need fewer immunizations. Caring for your newborn baby is undoubtedly an overwhelming task. But, when you have a caring pediatrician on your side, they take out all the guesswork. After you become established with Alexandria’s top pediatricians at Pediatrics of Mansoor Pediatrics, the team of trusted providers makes sure you learn everything you need to know about newborn care. Call the office of Pediatrics of Mansoor Pediatrics or use the convenient online booking tool to schedule your baby’s first visit. When does my newborn baby need to go to the doctor? Your dedicated pediatrician at Pediatrics of Mansoor Pediatrics wants to see your newborn regularly to ensure he or she is happy and healthy. Typically, you bring in your newborn for their first visit three to five days after discharge from the hospital and again at age two weeks. If our doctors did not see your baby in the hospital, please bring your baby’s discharge papers with you to the first visit. After that, plan on bringing them in at one month, two months, four months, six months, nine months, and twelve months. Of course, if you have any health concerns between visits, you can certainly come in for additional appointments. What happens during a newborn doctor appointment? We have a separate waiting room for our newborns. During the visit, your newborn care visit often starts with discussing any concerns or questions you may have. Because your baby needs to be weighed and measured while undressed, plan on dressing them in comfortable clothing that’s easy to get on and off. At the two week visit, the baby will have a blood test done to screen for rare but serious disease. Typically your pediatrician waits until the end, so you have a few moments to comfort your baby before leaving if they get upset. How do I know if my newborn is getting enough to eat? It’s easy to monitor how much your child is eating if you’re formula feeding, but it’s more difficult if you’re breastfeeding. Either way, everything that goes in must come out. If your newborn is getting enough to eat, they likely produce about six wet diapers daily (plus several bowel movements). Because your pediatrician carefully monitors your newborn’s growth, you know if your little one isn’t getting enough to eat. If you have concerns about feedings, your baby doesn’t seem interested in eating, or if you’re breastfeeding and your infant isn’t latching easily, talk with your pediatrician. They can help you determine what you need to do and what to watch for during mealtimes. Watching your child struggle to breathe is gut wrenching for any parent. While asthma isn’t curable, it’s certainly manageable with the help of the team at Pediatrics of Mansoor Pediatrics. Our dedicated team of Pediatricians are experts in diagnosing asthma in children and finding just the right treatment. Whether your child has already been diagnosed or if you suspect your child has asthma, call the office or make your first appointment online. It depends on your child’s age, since it’s tricky to diagnose asthma in children under five. Infants, toddlers, and very young children are still developing, so their bronchial tubes are small and narrow to begin with. Nevertheless, this is also the age bracket where children tend to show symptoms. With a little inflammation, your child may show signs of asthma, but you could find out that it’s just a minor chest cold. Sometimes just the opposite occurs: your child gets diagnosed with a chest cold, but it never really goes away. This is why asthma is often overlooked or misdiagnosed in small children. The diagnosis process for young children often involves monitoring their symptoms and some lab work to check for inflammation. Your child may also go through allergy testing to see if an allergen is triggering asthmatic symptoms. Sometimes treatment is as simple as removing that allergen from your child’s diet or environment. For children over five, the diagnosis is usually a little simpler since they can describe their symptoms. Your pediatrician might have to administer a pulmonary function test to measure breathing. They simply breathe into a special tube for this test. Laboratory work to check for inflammation, allergy testing, or chest X-rays are common diagnostic tools your pediatrician might suggest. Which treatments are best for children with asthma? It depends on your child’s age and the severity of his or her symptoms. Your dedicated pediatrician at Pediatrics of Mansoor Pediatrics puts together a custom asthma treatment plan for your child, then schedules routine follow-up appointments as needed to monitor your child’s progress. There are several types of allergies that children suffer from today, including environmental allergies, food allergies, and skin allergies. It’s important to identify your child’s allergies so that your doctor can prescribe an appropriate treatment plan and lifestyle changes. The experienced pediatricians at Pediatrics of Mansoor Pediatrics in Alexandria specialize in all types of children’s health care, including allergy treatments. Use the online appointment tool or call for an allergy screening appointment anytime. What kinds of allergies are commonly seen in children? There are three general categories of allergies, and your child can suffer from any of them. Food allergies occur in many children today. Some of the most common food allergies include nut allergies (particularly peanut allergies,) milk allergies, soy allergies, and egg allergies. There are a wide range of environmental allergies. Among children, some of the most common of these include pollen allergies, dust mite allergies, and pet dander allergies. Skin allergies can include reactions to nearly any substance. Particularly common skin allergies in children include reactions to laundry soaps, lotions, bubble baths, and other chemical products. What are the signs that your child may have an allergy? The signs that your child may have an environmental allergy can include sneezing, constantly runny nose, teary eyes, and breathing problems. With food allergies, their symptoms may include swelling around the mouth, breathing problems, redness around the mouth, and itchiness in and around the mouth. Skin allergies are usually easy to recognize because your child will typically have a rash, raised and swollen skin, or other disruptions to the skin. Should your child be allergy tested? If you suspect that your child has allergies, it’s important to speak with a pediatrician at Pediatrics of Mansoor Pediatrics. Pediatricians recommend allergy testing if your child’s symptoms are severe enough that they cause missed school or missed social activities. This type of testing can be the best way to isolate the cause of the allergy in some cases — especially when there’s no real indicator of what it might be. In other cases, you may already suspect a particular allergen. For example, if you suspect your child’s allergen is nuts, then a diet that eliminates nuts might provide a quick answer. How can your child’s allergy be treated? Is your child dealing with allergies of any type? The pediatricians at Pediatrics of Mansoor Pediatrics have the expertise to help. Use the convenient online appointment tool or phone the office for an appointment anytime. When your child has throat pain or inflammation, they can be sick for days. Most of the time, a sore throat isn’t a major concern. But if throat inflammation gets so severe or frequent that your child regularly misses school or extracurricular activities, it’s time to see a physician. The expert team at Pediatrics of Mansoor Pediatrics, welcome new patients. If your child is suffering from a sore throat, make an appointment online, or call the office to schedule. What are the differences between strep throat, tonsilitis, and pharyngitis? Strep throat, tonsilitis, and pharyngitis are all causes of a sore throat. With strep throat, your throat becomes infected with the streptococcus bacteria. Strep throat is sometimes severe, persistent, and long-lasting (often for several days). Tonsillitis means that your tonsils are infected. Your tonsils are responsible for helping keep harmful bacteria and other organisms out of your body. When they are infected, you can become sick very quickly. Tonsillitis is typically caused by either a virus or bacteria, such as the bacteria that causes strep throat. 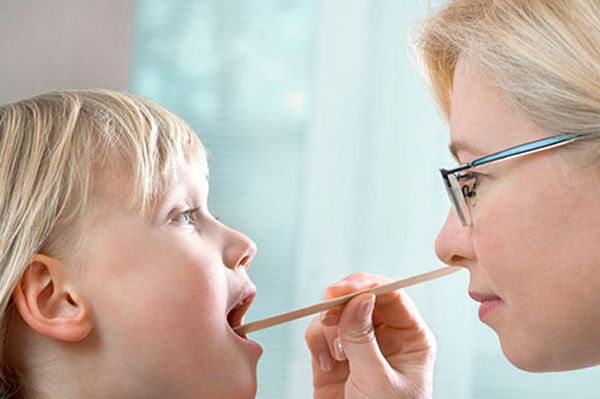 Pharyngitis is the most common reason children come in for doctors visits. This type of sore throat means that the pharynx at the back of your throat is inflamed from either a bacterial or viral infection. It makes your throat feel scratchy and makes swallowing difficult. Which treatments are available for a sore throat in children? It depends on the cause and your child’s age. With older children, you can have them gargle warm salt water to ease sore throat pain. Drinking lots of warm tea, water, soup, or other hot liquid is beneficial for minimizing inflammation and getting rid of mucus. In some cases, your child’s pediatrician can prescribe antibiotic medications, but this only works with bacterial infections. Viral infections, including some types of tonsillitis, may just need time. But, if your child has a severe viral infection, they may need pain medications or decongestants while the virus runs its course. Sometimes the doctor can tell whether the infection is caused by a virus or a bacteria with the examination, but often a lab test with a throat swab is required. You know your child better than anyone else, so you can probably tell when something’s seriously wrong. While most sore throats don’t require a doctor’s visit for treatment, it also depends on your child’s age. Younger children, for instance, might not be able to tell you everything they’re feeling, so you need to watch for signs of a severe sore throat. If your child has a severe sore throat or symptoms that last for more than a week, make an appointment right away. Immunizations and vaccinations help protect your child against some of the most harmful diseases around. As avid proponents of routine immunizations, our team of pediatricians ensures that your child is up to date on all of his or her essential injections. Their Alexandria-area clinic, Pediatrics of Mansoor Pediatrics, offers flexible scheduling, even for new families. Book your appointment online, or use the practice’s convenient online booking system to schedule your child for an immunization visit. Getting an immunization protects your body against a disease. You become immunized when you get a vaccine or vaccination. A vaccine helps your body become immune to a particular disease, or strain of diseases. A vaccination occurs when your doctor injects a destroyed or weakened organism into your body. Your immune system immediately starts building up antibodies, forcing your body to become immune to the disease-causing organism. Being immunized doesn’t mean you won’t get sick, but it does mean that your body has what it needs to fight off the harmful organism. When do I start immunizing my child? Your child is given immunizations shortly after birth. 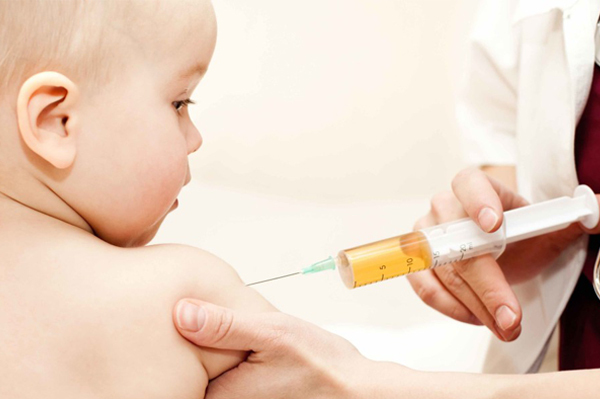 Usually, for your child’s first two years of life, they get a series of vaccines and vaccinations. By age six, your child needs fewer immunizations, while your teenager is introduced to an entirely new set of immunization requirements. Throughout your child’s life, and often throughout adulthood, your child needs boosters for certain vaccines and vaccinations. Your pediatrician documents everything on a schedule, so you know exactly when you should get started and how often you need to visit your doctor. Yes. The practitioners at Pediatrics of Mansoor Pediatrics follow immunization guidelines set forth by the Centers for Disease Control and Prevention and the American Academy of Pediatrics. These organizations have spent decades researching and evaluating various types of immunizations to ensure that they’re safe and effective. Parents often ask if immunization injections can make their child sick. In some cases, yes. But the risk of suffering from a life-threatening disease is higher than the minor risks associated with immunizations, such as feeling sick or allergic reactions. Why should I get my child immunized? When you keep your child updated on essential immunizations, the risk of contracting certain diseases decreases drastically. As children start falling behind on vaccines, diseases start showing up again, causing outbreaks. That’s why measles still shows up every once in awhile. The cost of getting a routine vaccine or vaccination is far less than treating a disease. Plus many schools, sports teams, and extracurricular activities require that your child is up to date on shots before participating. Immunizations and vaccinations help protect your child against some of the most harmful diseases around, but figuring out which vaccines and immunizations your child needs and when to get them is overwhelming for any parent. As avid proponents of routine immunizations, our team of pediatricians ensures that your child is up to date on all of his or her essential injections. Their Alexandria-area clinic, Pediatrics of Mansoor Pediatrics, offers flexible scheduling, even for new families. Book your appointment online, or use the practice’s convenient online booking system to schedule your child for an immunization visit. Figuring out which vaccines and vaccinations your child needs — and when to get them — is overwhelming for any parent. When your child becomes a patient of Pediatrics of Mansoor Pediatrics, you get a custom immunization schedule. At Pediatrics of Mansoor Pediatrics, our pediatric team in Alexandria ensure that your child is up to date on all of their required injections. Whether you’re a new or established patient, you can book your child’s appointment online or call the office to schedule. Are Vaccines, Vaccinations, and Immunications Different? No. Vaccinations introduce the disease-causing organisms into your body in a dead or weakened state. That way your immune system starts building up antibodies to fight them. The terms “immunizations,” “vaccines,” and “vaccinations” are often used interchangeably. Immunization is the technical term that describes the process your body goes through to build strength and ward off specific harmful organisms. Vaccines/vaccinations ultimately immunize your body against a particular disease. Which vaccines does my child need? 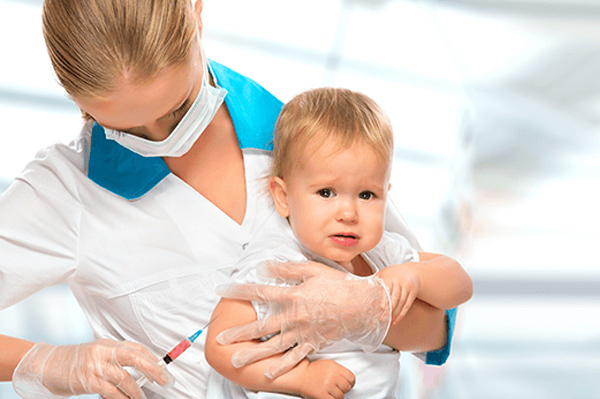 Your child may need additional vaccines, depending on their age. If your child is behind on certain immunizations, they might need to catch up and receive other types of injections. By the end of your first visit with your dedicated pediatrician, you know exactly which immunizations your child needs and can book those future appointments on the spot. Should I worry if my child reacts to a vaccine? If your young one gets the chicken pox or MMR shot, they could develop a mild rash about a week or two after getting the injection. This is completely normal sign that your child’s body is building up immunity to the foreign organisms. Serious reactions to vaccines and vaccinations are rare, but if your child has difficulty breathing or a high fever, call the office right away. Earache is one of the most common problems physicians see at Pediatrics of Mansoor Pediatrics in Alexandria. Your child’s earache can be quite serious, especially if it isn’t recognized and treated right away. The experienced team of pediatricians at Pediatrics of Mansoor Pediatrics is here to relieve earache pain so that young patients can enjoy being kids again. When you need earache relief fast, use the convenient online appointment maker or call the Pediatrics of Mansoor Pediatrics for help. Why do children get earaches? The most common cause of children’s earaches is an infection. Your child might develop an earache because of an upper respiratory infection like the common cold. Children might also experience earaches because of a sudden injury to the ear. What type of middle ear infection does your child have? In this, the most common kind of ear infection, your child’s middle ear is swollen and infected. This swelling traps fluid in the back of the eardrum and the pressure causes your child to have an earache. Acute otitis media may also cause a fever. This type of ear infection causes fluid to remain in the back of your child’s eardrum, even after the pain and other symptoms have passed. Your child may have few or no symptoms, so this type of ear infection can be hard to identify. Children who have otitis media with effusion may tell you that their ears feel stuffed or full. What is the treatment for ear infections in children? Treatment depends on the type of infection, your child’s symptoms, and other individual factors. In many cases, doctors treat acute middle ear infections with antibiotics. Your child will typically take antibiotics for 7-10 days in total. Be sure that your child finishes the entire prescription, even though they’ll usually start feeling better after just a day or two. The pediatrician may also recommend pain relief medications such as acetaminophen (brand name Tylenol) or ibuprofen (brand name Motrin) to help alleviate pain and reduce body temperature if your child has a fever. If ear infections are causing trouble for your child, the team of pediatric specialists at Pediatrics of Mansoor Pediatrics can help resolve the pain and other symptoms for good. Make an appointment through the online tool or call us anytime. A fever is a sign of illness that you shouldn’t ignore — especially in your young child. Whether the fever is low grade or is rapidly climbing, it’s always best to have your child checked out by experienced pediatricians who can diagnose the cause of the fever and take the appropriate steps to lower it quickly. Pediatrics of Mansoor Pediatrics is a pediatric care facility that’s here to help your children and provide parents with the support they need. Use the online appointment maker or call the office for help with a fever anytime. When should you call Pediatrics of Mansoor Pediatrics if your child has a fever? This varies based on the age of your child. If your infant (especially if three months of age or younger) has a rectal temperature measuring 100.5°F or higher, contact Pediatrics of Mansoor Pediatrics right away. Fevers can be especially dangerous for very young babies. At toddler age and beyond, it’s just as important to observe your child’s behavior and symptoms as it is to measure temperature. A temperature alone may not be serious if your child still behaves normally, eats and drinks normally, and seems alert and happy. If your child has a temperature of 100.5° F or higher and has symptoms such as lethargy, irritability, loss of appetite, and lack of alertness, call Pediatrics of Mansoor Pediatrics promptly for help. When should you administer medication at home for your child’s fever? In most cases, your child won’t need medication for a fever unless their temperature is 102° F or higher. When your child’s temperature is lower than that, administer medication at home only if your child is feeling uncomfortable. What types of medications are safe to give for a fever at home? Children’s versions of acetaminophen (brand name Tylenol) and ibuprofen (brand name Motrin) are generally safe to give children when they have a fever. However, it’s always best to speak with one of the pediatricians at Pediatrics of Mansoor Pediatrics before you administer medication for a fever since you might need to bring your child in for a visit instead. Can teething cause your child to have a fever? Yes, but temperature rise due to teething rarely exceeds 100° F. If your child’s temperature is significantly higher than that and you don’t see any other symptoms other than teething, contact Pediatrics of Mansoor Pediatrics for advice. What is the best way to take your child’s temperature? Rectal thermometers are very reliable and are usually the best way to obtain accurate temperatures in infants and young children. Once your child is old enough to reliably sit still for an oral temperature reading, this is also a good option. Other options such as forehead and ear thermometers are not reliable enough in most cases. If your child has a temperature, don’t hesitate to call on Pediatrics of Mansoor Pediatrics for help. Use the convenient appointment maker or call the office anytime! Proper nutrition is a critical part of keeping your children healthy, but many parents may find that there is nearly a dizzying array of food options for kids. 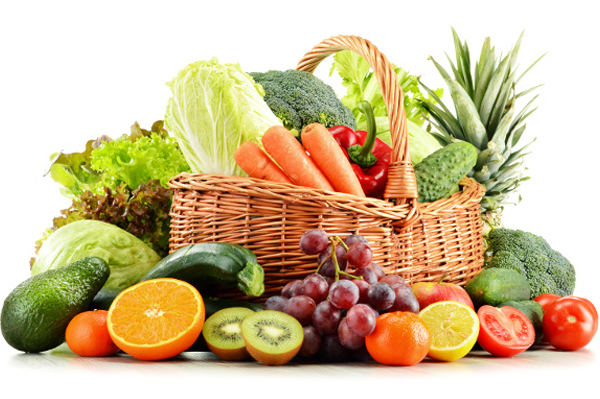 Knowing what to feed, when to feed it, and what size portions to provide your child can be challenging, so the pediatricians at Pediatrics of Mansoor Pediatrics in Alexandria are ready to help. A healthy child is a happy child, and nutrition can be the start of that. Make an appointment online or call the Pediatrics of Mansoor Pediatrics office to get help with children’s nutrition anytime. When can your child drink cow’s milk? Doctors typically recommend that you give your child cow’s milk only after they’re 12 months or older. During your child’s first year of life, they need all of the nutrients in breastmilk or formula. Until your child turns two, use full fat cow’s milk. After the age of two, you can switch to any type of cow’s milk. It’s very easy to give children too much fruit juice. In fact, juice adds extra calories without much nutritional benefit. Your child should have no more than two small (two ounce) servings of fruit juice daily until age six. From 7-12, kids can have a total of 8-12 ounces of juice a day. Whole fruits are always better for your child than fruit juice because they have fiber that fills your child up and contains more nutrients. Is snacking okay for children? Snacking is fine as long as you monitor and control it. Many children ask for food every three to four hours. Instead of telling your child no, allow them to choose from healthy low-calorie options like raw veggies or a piece of fruit, especially if their next meal is coming up in an hour or two. If you’re concerned about your child’s weight, please speak to a pediatrician at Pediatrics of Mansoor Pediatrics to get advice and support. Your pediatrician can track your child’s weight history and use height and weight charts to determine whether there is a cause for concern at this time. If your child is overweight, your pediatrician can help you create a meal plan that adheres to the food pyramid. This meal plan ensures that your child gets the nutrients they need without going hungry. Your pediatrician can also help you implement lifestyle changes in your home such as family exercise activities. Need help with your child’s weight, diet, or overall nutrition? Use the online appointment tool or call Pediatrics of Mansoor Pediatrics for help now.